For more than 20 years, residents of Northern Virginia including Gainesville, Manassas, Fairfax, Arlington, Alexandria, VA., and other communities in the area have called on Galenski Plumbing for problems with leaks, clogs and drips. Call 703-555-1234 to discuss your plumbing needs. We understand it’s an honor and a privilege to be invited into your home to assist with your plumbing needs. We don’t take that lightly! We wouldn’t have anyone come into your home that we wouldn’t want in our own home. Our plumbers are certified, extremely knowledgeable, honest, respectful of your home and will work hard and efficiently to get the job done right the first time. That’s why contractors and families within the Northern Virginia area call on Galenski Plumbing. 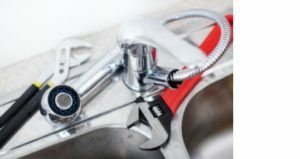 Our plumbing technicians service Northern Virginia counties such as Alexandria, Arlington, Fairfax, Fairfax City, Falls Church, Fauquier, Loudon, Manassas, and Prince William County. We have a large list of plumbing services. Below are some of the most common requests. If you are in need of a plumbing service that is not listed, give us a call as we have seen and done it all. We are a plumbing company that uses modern tools with a strong old-fashioned work ethic. Don't let other companies charge you an arm and a leg for services you do not actually need . Give us a call and we'll treat your house like it was our own.